We can't deny that 2012 was a year full of excitement. And what is it that gets a geek excited? Gadgets, of course! We got to play with a whole bunch of smartphones and tablets, some of which we weren't that impressed by, while others we simply fell in love with. And now that 2012 is coming to an end, we decided that doing a thorough wrap-up would be a great idea. Over the past couple of weeks, we took a look back at the products and events that shaped up the mobile industry and highlighted the devices that had the most impact. The ones that didn't quite succeed got a mention too in our PhoneArena Awards of 2012 series. Our loyal readers have probably been keeping track of the categories in our series, as well as to the winners in each one of them. But for the folks who might have missed a post or two, we've put together all articles in one place. Feel free to check them all out, share them with your buddies, and don't miss the chance to join in the discussion down in the comments! Dec 17, 2012, 12:04 PM, by Nick T.
Dec 14, 2012, 11:09 AM, by Nick T.
Dec 13, 2012, 12:12 PM, by Nick T.
Dec 12, 2012, 9:57 AM, by Nick T.
Dec 11, 2012, 10:37 AM, by Nick T.
Dec 10, 2012, 12:25 PM, by Nick T.
Dec 07, 2012, 11:29 AM, by Nick T.
Dec 06, 2012, 1:44 PM, by Nick T.
Dec 05, 2012, 12:57 PM, by Nick T.
Dec 04, 2012, 11:44 AM, by Nick T.
Dec 03, 2012, 12:24 PM, by Nick T.
Thank you so much Phone Arena.. In spite of your sometimes bias to Apple, I really do like your website and enjoyed your articles with really wonderful readers and friends here.. God bless you and keep it up. Yeah, PA is awersome. I like the simple and cool layout, quick and frequent news updates, and good writers/editors. Yeah, some of the editors, I can claim are biased a little. But hey C'mon, the bias is so less compared to other sites. We can get over it. And by the way I would say PA is very very infected by the fanboys. Maybe I am also one, but mostly I try to think even. Everyone should do the same. And finally Humour. We love your salty, sometimes caustic sense of Humour! 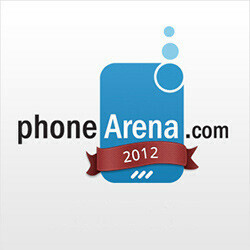 ohhh weow well the name should be PHONE ARENA BIASED AWARDS. because ultimately apple is gonna win from phone arena point of view. so u can say that we users can predict the FUTURE. hahaha. in all aspects phone arena is gna say................... ohh this particular handset is very good, music, camera bla bla but i phone is the best . all of u bet me this is gna happen. and they will say AND THE AWARD GOES TO IPHONE 5. which is a total crap and junk phone to use. give the award to HTC PHONES or NOKIA LUMIA 920, which literally are deserving or u can give a bit to samsung as well to make sammy fanboys little happy. cheers mates. i dont intend to hurt ny1 but TRUTH TASTES BITTER. phone arena guyss please WAKE UPP !!!!!!!!!! Really... Note 2 isn't on the list? That tells me how crappy and biased this site is. Off my favorites, good bye. I was about to Follow all the award articles....then remembered this...lol. I can't believe the Motorola Razr Maxx didn;t make the list. As a phone it neats any that are out there for reception and clarity. It's 4G, has a large clear screen and let's not forget the 3300 battery I need aphone top be there when i need it and this one lasts at least 2 days. apple based, anti samsung website! everyone knows that GS3 has been the most popular phone of 2012!